FREE with $20 purchase of Doctor Ben's Products! 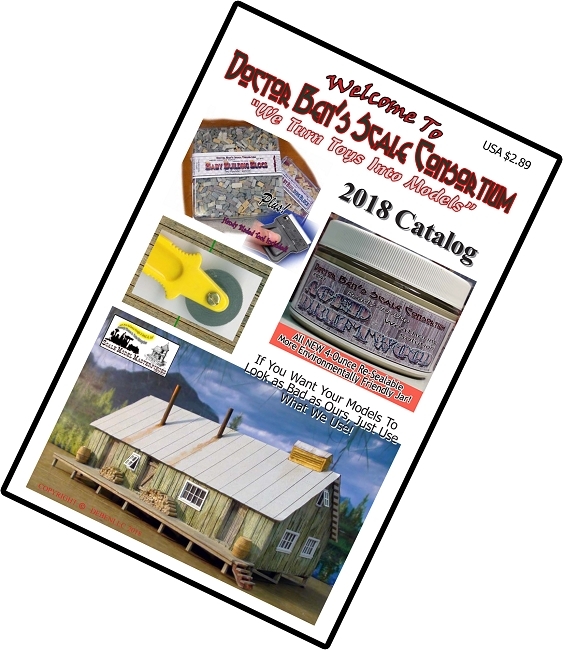 NOTE: To Receive a Complimentary Doctor Ben's 2019 Catalog Booklet with $20 Purchase of Doctor Ben's Products (any combi nation) & request a free 2019 Catalog in the Checkout Comments box (at the bottom of the page) before making payment. No Coupon is Required! Or just download the pdf and print it yourself on your own printer! 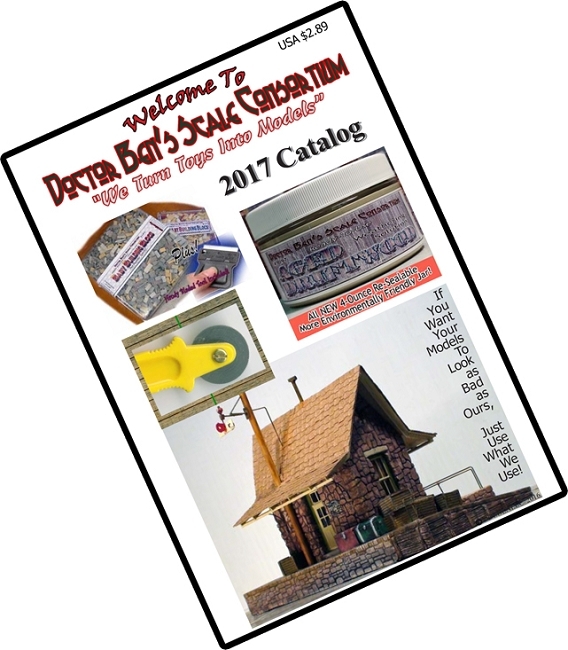 1) Download the pdf-CLICK HERE! 2) If your printer does NOT print double sided, set your printer to "Landscape Mode" and print Odd Numbered pages only. 3) Place the printed pages in your printer to print the even pages (usually text is "face up"). 4) Print even numbered pages. 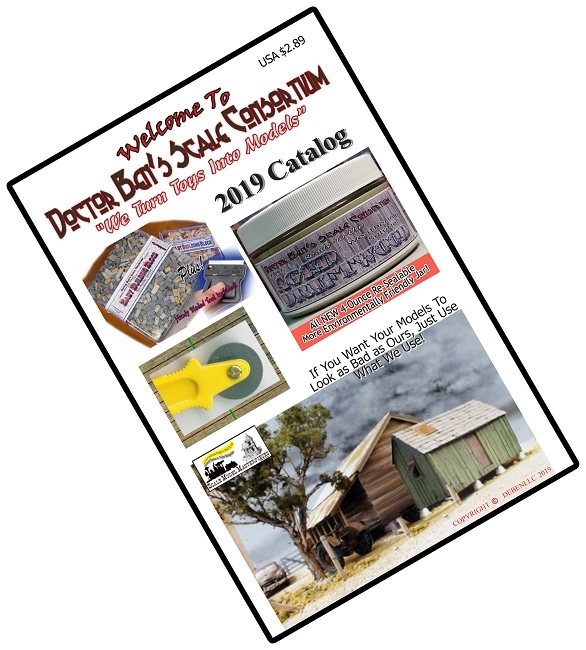 5) Fold the pages in half (8-1/2" x 5-1/2") and slide the center pages inside the Cover page & there you have it; our Doctor Ben's 2019 Catalog! So, you be the judge, just how realistic do our weathering products look to you? And if you have been to the National Narrow Gauge Conventions you will have seen me demonstrate just how very easy to use these products actually are. You will find both of these Realistic Weathering Solutions and many other great Doctor Ben's products in our store! 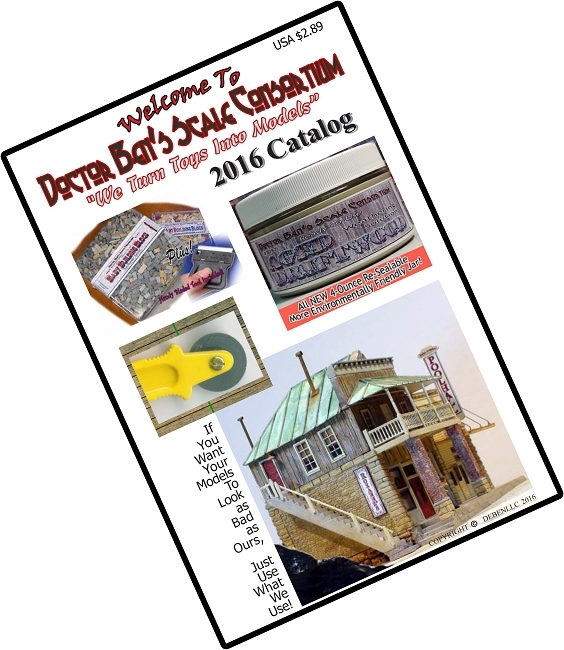 CLICK HEREto to Download/Open/Print the pdf Doctor Ben's Product Flyer Here! Add this item to your order or print it yourself!